On February 26, 2017 we visited the Loc Tho Charity School and Orphanage with healthy food and new storage drawers. 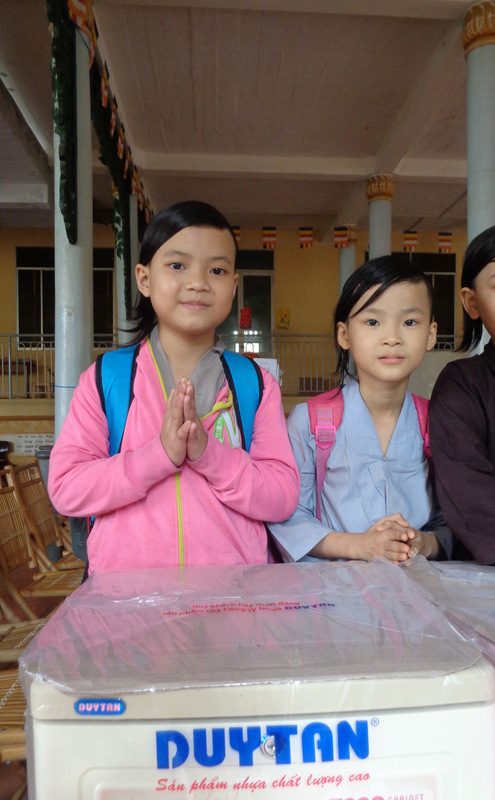 Run by the nuns of the adjacent pagoda, Loc Tho provides free primary schooling to over 100 neighboring youngsters of poor families, and is the home to over 20 orphans. 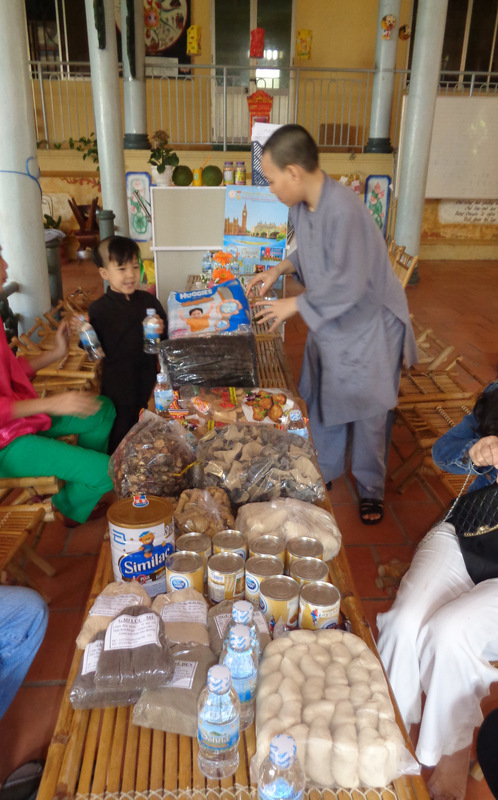 On this visit, we brought lots of healthy food supplements for the children’s meals, including varieties of dried mushrooms, porridge, baby formula, milk, vegetarian seasonings, and soy products. At the nuns’ request, we also bought 6 new storage drawers. 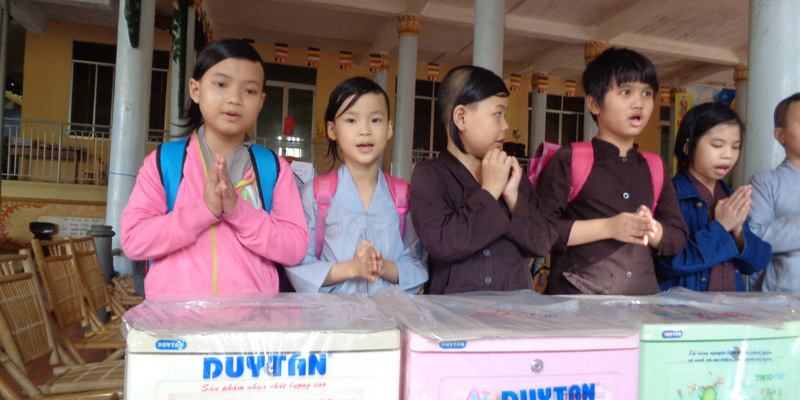 Lloyd and Esther continue to provide healthy food supplements for the children, and other donors who contributed to this visit are Dan Haynes and Han Dang.